David Le/Gloucester Daily Times. 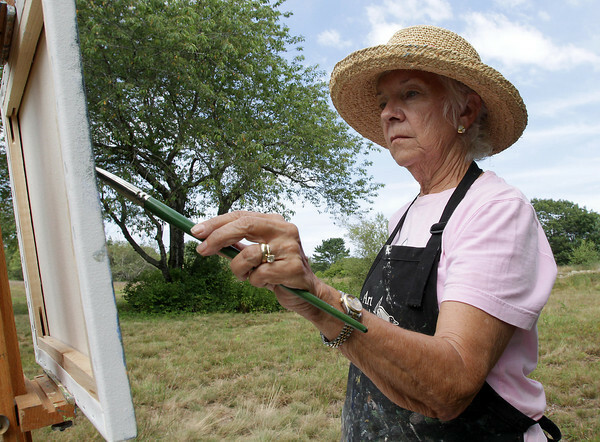 Joann Phillips, of Gloucester paints a landscape scene at Seine Field as part of a workshop run by local artist David Curtis called "Painting Trees." 8/25/11.